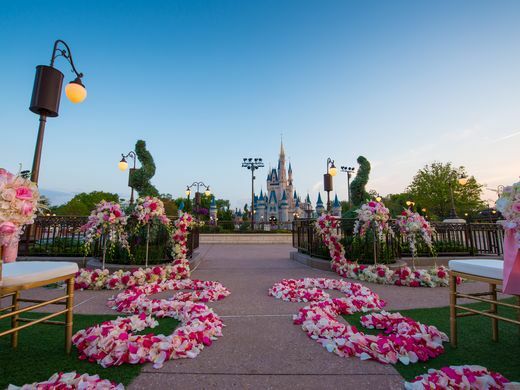 If you want to feel like a real princess, you can now get married Disney style in Florida’s Disney World with your wedding ceremony taking place just outside Cinderella’s Castle! Have you found your Prince Charming? Is there a Cinderella hiding inside you who dreams of a fabulous fairy tale wedding? 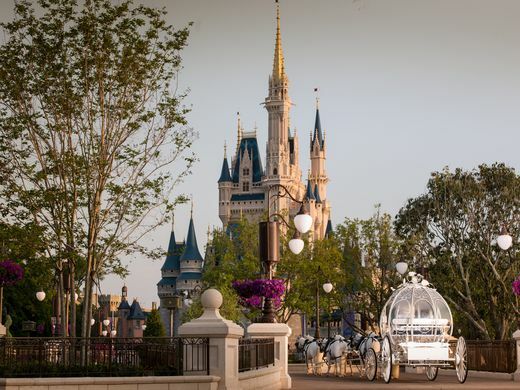 We have good news for you: you can now have your fabulous Disney wedding inside the Magic Kingdom with Cinderella’s castle in the background! 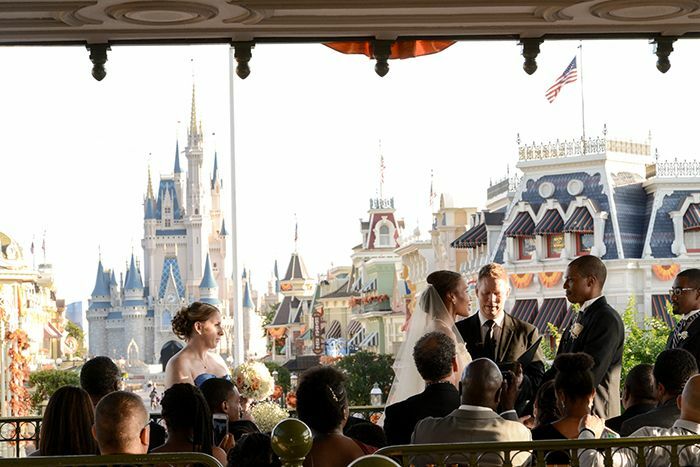 Disney World has been offering different wedding services for many years with the train station being the only other Magic Kingdom wedding spot (only available in the early morning hours before the park opened). 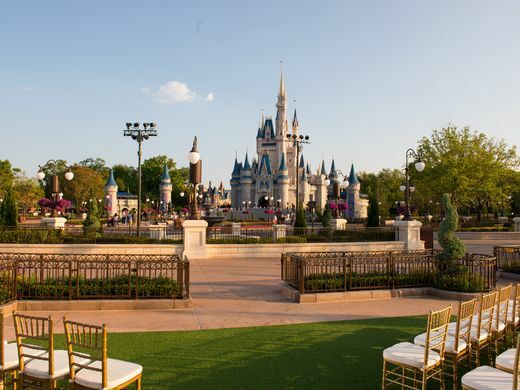 The new Magic Kingdom wedding location is situated in the park’s new East Plaza Garden and is a real dream-come-true with its whimsical topiaries, a fountain, and especially its striking views. It will only be available for morning wedding ceremonies and will be able to accommodate up to 100 people.